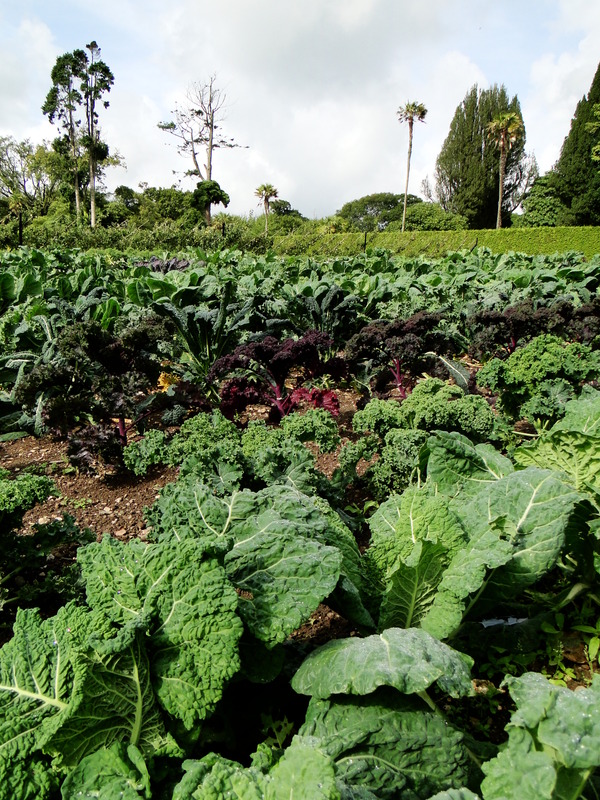 Green Manures – To sow or not to sow? So I’d just sown some Phaecelia at the allotment and bought some Winter Grazing Rye and then I picked up my copy of Grow Your Own magazine to find an article on green manure. The article unfortunately said there was little recent data to show that they were any good, but I had just seen Monty Don sowing some winter grazing rye and he had said it would be as good as manuring his ground. So had I just wasted my time and money or are green manures worth the trouble? There’s certainly an awful lot of material out there in favour but I’m not sure whether the agricultural practice of allowing a field to go fallow can be suitable for small scale growing. The problem for me is that this is my first year on my plot and I won’t have enough compost to mulch all of my beds. I have acquired some manure but I am still wary of manure after the problems with herbicide contamination. Also as a third of my beds are devoted to cutflowers these don’t need high levels of nutrients. So I thought green manures could fill that gap. The Phaecelia I sowed has grown to form a feathery green carpet that certainly looks better than a patch of bare soil. It will, hopefully, provide some cover for beneficial insects over the winter, although it will equally provide cover for the creatures I don’t want. It should also protect the soil structure from heavy winter rain. It seems that it is the nutritional benefit that green manures provide that is the main area of dispute and one that is hard for the amateur gardener to measure. It seems that green manures need to be in the soil for much longer than is viable for the amateur grower to provide any significant nutritional benefits. By next spring I will have areas that have been manured, areas that have been mulched with compost and ares that have been green manured, so I’ll try and keep some notes and see what I find. I definitely think that soil benefits hugely from having something growing it. Plant roots have a beneficial impact on soil structure helping the break up the soil, forming channels that air and water can enter and leave, making the soil environment a better place for soil organisms to thrive and improving drainage. So I’m willing to give green manures a go and if nothing else, digging them in next spring will provide some welcome post-winter exercise. 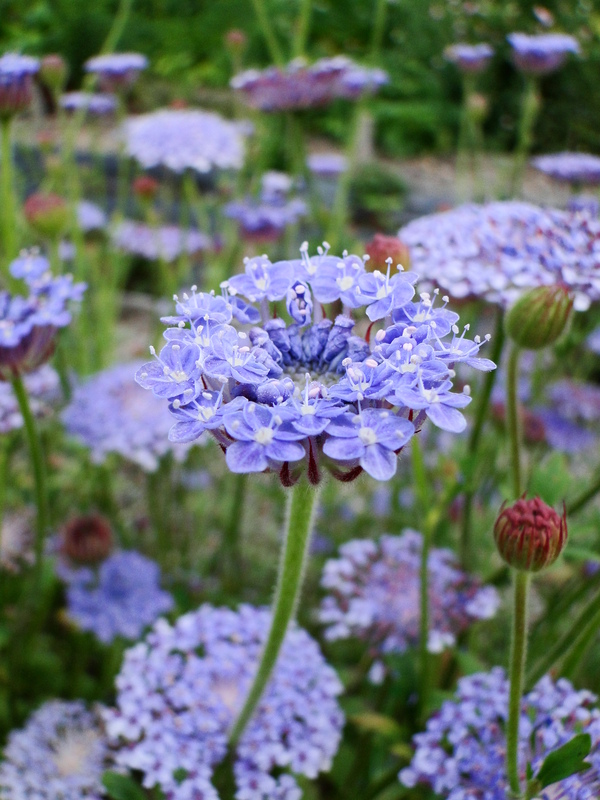 For more information read October’s issue of Grow Your Own magazine or go to the RHS website. You know you’ve neglected your allotment when grass has grown over the hosepipe, so much so you have to pull it free!!! I feel I should point out, just so you don’t get completely the wrong impression of my allotment husbandry that the rest of the plot is fine its just the storage part that is looking a little unkempt. No doubt my New Year’s resolution will be to keep this part of the plot tidy but I know even now, as with most resolutions, that this is more a triumph of hope rather than reality. Anyway, after a couple of weeks of painting sheds, cold frames and kitchens, all those jobs I wanted to do in Spring but was too busy sowing seeds, laying paths and weeding I thought I should spend a day on the plot. The weather was beautiful, although I was a little overdressed in 2 fleeces and a t-shirt. I know, I had heard the forecast its just I’ve been so used to going up there recently and finding I was cold and I also find you can never have enough pockets when you’re gardening. Somewhere to put the plant labels you rescue from burial in the soil, somewhere for the ripe seeds that you didn’t bring a paper bag for, the wire that was tying the french bean teepee together. I decided to tackle the french beans which had stopped producing and were looking like they’d had a hard life and for french beans they had. My plot is exposed with the prevailing westerly wind whipping straight through the site and we’ve had some pretty strong winds recently. The beans had suffered as a result with torn, shredded leaves and wind burn, so they came down and so too did the disastrous sweetcorn. There had been, lets say a discussion between Wellyman and myself over the sweetcorn. I knew weeks ago they had failed as a crop and would have taken them out there and then but Wellyman wanted to wait. I wasn’t quite sure what he was waiting for but he is an optimist. Well I waited but when I chopped them down yesterday a variety of little creatures had moved in to complete the look of decline. Well at least something was getting a meal from them! With the ground cleared and prepared I sowed some green manure. I thought I would find the autumn tidying of the plot a bit sad but I’ve found it satisfying to make it tidy and prepare for next spring. Its all part of the cycle that attracts me to gardening and how can you be sad when you’ve got beautiful flowers like these to pick. A garden by the sea and with not one but two large walled gardens for growing fruit, vegetables and cut flowers. Could Wellywoman ask for anything more? Set in beautiful countryside looking out to sea with a microclimate that allows a wide range of plants from around the world to thrive the Lost Gardens of Heligan are an amazing place to visit. Add to this the fascinating story of their decline and restoration and it is hard to imagine another garden that offers its visitors so much. We have just returned from a few days in Cornwall and our third visit to Heligan. Our previous visits have been in Spring but this time we were greeted by fabulous blue hydrangeas, exquisitely scented citrus blossom, bountiful brassicas and dazzling dahlias. Heligan was the estate of the Tremayne family and was at its peak in the late Victorian/Edwardian period but, as for many estates, the First World War triggered Heligan’s decline. Nature began to take over and the gardens could have been lost forever if they hadn’t been discovered by Tim Smit and a friend whilst on a walk in 1990. Their vision, passion and hard work and that of many others has meant that Heligan once again thrives. The top part of the garden includes the restored walled gardens that supply produce for the cafe and shop. Here you can see the Peach House, the Pineapple Pits and the Melon House and walk into an old tool shed that feels as if the Edwardian gardener has gone for some lunch. Surrounding the productive gardens are the Pleasure Gardens which include an Italianate Garden. At the bottom end of the gardens are beautiful woodland walks and an impressive jungle. Walking through the jungle you wend your way down a valley, past a series of pools, enormous trees, bamboos and gunnera. The luxuriance of the foliage really does create a jungle feeling but without awful humidity and creatures wanting to bite you! Joining the two sections is an area which shows how Heligan and the wider estate are being managed with wildlife in mind. A wildlife hide allows you to see footage of the barn owls that nest there. It’s also possible to sit and watch birds on some feeders. We saw a sparrowhawk, like a blue flash, swoop at a group of chaffinches and goldfinches. Throughout the gardens are information panels showing old photographs from its heyday and pictures showing the state it was in before the restoration started. The visitor facilities are excellent. It’s always a disappointment to go somewhere and find that these let the place down. The cafe at Heligan is great value, with locally produced food and the shop, too is well stocked, with a particularly good book section. I inherited a strawberry patch with the allotment when I took it over in January. We got a surprisingly good crop considering they didn’t look the healthiest of plants. However, I decided to replace the oldest looking plants and in July I ordered some ‘misted tip’ strawberries from DT Brown. I had read that you could get a good crop in the first year from misted tips, so I thought I would give it a try. Misted tips are runners that have yet to root, they are selected and then rooted and grown on quickly in a warm, misted environment to produce stocky plants with a good root system. If you get them into the ground before the end of August (flower initiation takes place in Autumn) then they will produce a good yield in their first year. The weather has been miserable for a couple of days now and there’s so much to do. Crucially it was wet at the weekend which meant I couldn’t get Wellyman to help me move some of my greenwaste bags at the allotment. The bags have got waste in them I don’t want to compost but I could do with them for my overflowing compost heaps. I’ve got so much material at the moment I don’t know where to put it. It also meant Wellyman couldn’t chop up the free wood he brought home for the logburner so we’ve now got a huge piece of ash tree in the shed and 5 wooden pallets stacked up behind the shed. I like the idea of free wood but my shed already has to be a recycling centre and tool shed and I’m getting squeezed out of the shed, so much so I had to pot up my hardy annuals whilst sat on the floor outside the shed. Whenever I see Monty on Gardener’s World in his potting shed with his different compost mixes and tools all at hand I’m soooo envious. I know envy isn’t an attractive trait but it would be nice to be able to stand up whilst I’m sowing my seeds!! Anyway I managed to get up to the plot and pull out some more plants that have gone over; the dwarf yellow beans that were so pretty and tasty, the courgette plants that have just gone on and on. Four plants was too much for 2 people and I did think at one point I would have to stop people in the street and give them courgettes because we had so many and even friends had had enough of them. I also pulled out the sunflowers and removed the seed heads which I put in my coldframe to dry off and ripen. We’ll have lots of seeds to feed the birds this winter. So a productive couple of hours but its quite sad to be putting the plot to bed for the winter. 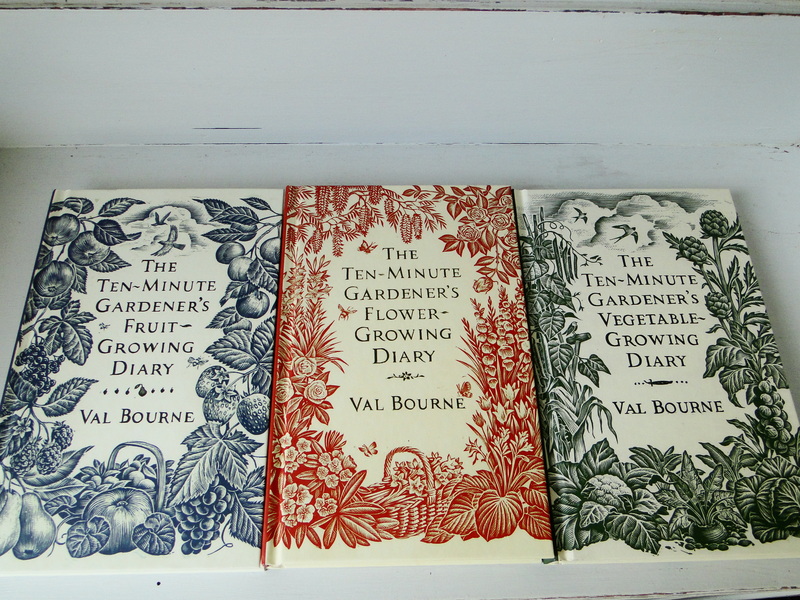 The 10 Minute Gardener’s Diaries – Fruit Growing, Vegetable Growing and Flower Growing by Val Bourne, published by Bantam Press. There’s a plethora of gardening books available and inevitably they start to look very similar. It’s difficult to find books that capture my attention and that I feel I will want to go back to. So I was very happy to discover this collection of books. The author and experienced horticulturist Val Bourne writes regularly for the Daily Telegraph and is a member of 2 RHS panels, which assess trials of dahlias and perennials for the AGM awards. I loved the style of the books. The covers are very pretty with their engraving style designs, which gives them a classic feel. There are no photographs but the books don’t suffer because of this. An amazing amount of information has been condensed into relatively small books. Each book is divided into months with tips, tasks and secrets of success for that month. There is enough information to keep even the most experienced gardener interested with tips such as laying winter jasmine on its side in a long trench when you plant, it will shoot along its length, establishing more quickly. There are also titbits such as when the term ‘watering can’ was first used. There is a little bit of repetition with rhubarb covered in both the vegetable and fruit books and details of using fertilisers, but this is inevitable when trying to give comprehensive information across the 3 titles. I can certainly see myself using these books at the start of each month and making notes of what I should be doing such as what plants I should be feeding. The format and size of the books means they are easy to slip in a bag and pick up to have a quick read during your lunch break or if you’re on the train. I think the books are good value at £9.99 each. They could make great stocking fillers, a gift for someone with their first garden or just as a treat for someone who wants to snuggle up this winter in front of the fire with a book. Available from the 29th September. Thanks to Kate at Transworld Publishers. Buying presents seems to be getting more difficult. Most people have more than enough ‘stuff’ and can generally buy what they want. Gifts seem to be very expensive electricals or cheap stuff that doesn’t last five minutes. Well I thought I would come up with my top 10 list of gifts for the gardener in your life. With Christmas on the way I hope this gives some inspiration. Highland Soap Company Hand Cream – Every gardener needs a good handcream. I discovered this company whilst on holiday in Scotland this year. The cream is rich but absorbs easily, doesn’t leave your skin feeling greasy and a little goes a long way. There are a good range of products using organic, natural ingredients and they smell amazing. I can definitely recommend the Lemongrass and Ginger which smells like old fashioned lemon sweets. Available mail order at The Highland Soap Co.
Hunters Wellies – I’ve had my Hunters for 6 years now, they were a Christmas present from Wellyman, and they are still going strong. They have a great range of colours and styles, with shorter boots and wider fittings. They are expensive but they are long lasting which is ultimately better for the pocket and the environment. Warm Socks – I hate cold feet and the one problem with wearing wellies is cold feet. So a pair of warm socks would make a nice gift. I love alpaca wool socks available from my local farmers’ market. You can get similar goats wool socks from Wiggly Wigglers. Gloves – A pair of good gardening gloves are essential for most gardeners. I’ve gone through quite a few pairs in the hope of finding something that was comfortable, hard-wearing and washable. For me Briers Lady Gardener gloves have been the best with a velcro fastening at the wrist and at a reasonable price. Magazine Subscription – There is something relaxing about sitting down after a hard day’s gardening with a cup of tea and a magazine but magazines are becoming quite expensive. A subscription is a great way to save on the monthly cost, sometimes up to a half. I like Gardens Illustrated and Grow Your Own. Seeds – Not all gifts have to cost a great deal. I think a couple of packets of unusual seeds makes a great gift. I like ‘Ezetha’s Krombek Blauwschok’ Purple Mangetout from the Organic Gardening Catalogue and ‘Jaune Obtuse de Doubs’ Yellow Carrot from the Real Seed Catalogue. Bath Oil – To ease those aching muscles try Neals Yard’s Seaweed and Arnica Bath Foam, full of natural ingredients. Cookery Book– How about a recipe book for new ways to use produce from the allotment. I like Sarah Raven’s award-winning Garden Cookbook or what about the new book from River Cottage Veg Every Day. Kneeler – Gardening takes it’s toll on the body. This kneeler from Sarah Raven has been brilliant. It’s good and strong. I’ve used it when painting and cleaning the cooker as well. Garden Membership– If your gardener friend or family member lives near a lovely garden why not get them an annual ticket so they can visit throughout the seasons or a copy of the NGS Yellow Book so they can plan some days out to be inspired by other gardens. Nature programmes on TV generally focus on animals, birds and insects. We are all aware about how many of these creatures are in danger in the wild but there is much less focus on our plantlife. Most of us have heard stories of the fields of wildflowers that could once be found in the countryside but few of us have seen them. The use of herbicides and intensive farming has had a massive impact on our wildflower population. It seems easier for plants to slip away and become extinct and yet plants are so incredibly important. 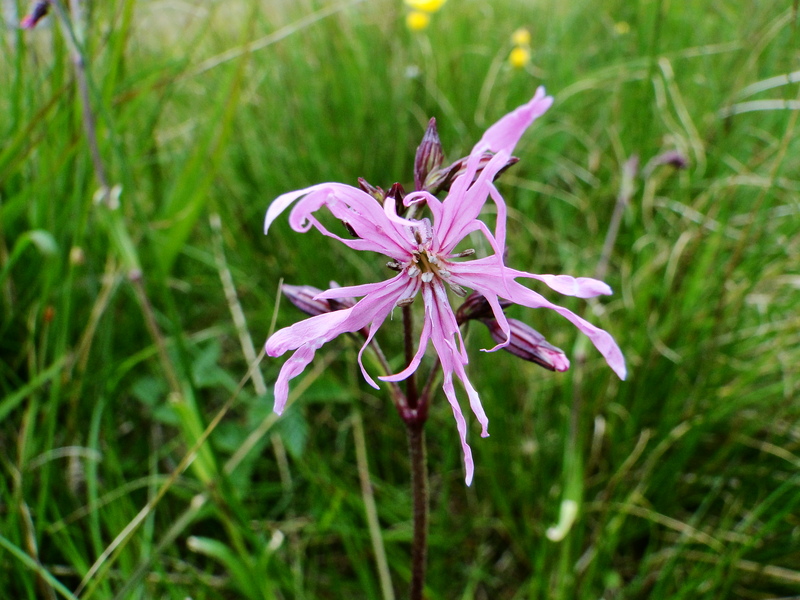 The charity Plantlife is trying to change this in many ways including plant surveys called ‘Wildflower Counts’ that anyone can do. I signed up last Autumn and this Spring Plantlife sent out a survey pack. They designate you an area close to your home (you can change this if you want) and you can do a number of different types of survey from a 1km linear walk, a small grid or if you feel more confident you can become a super surveyor. 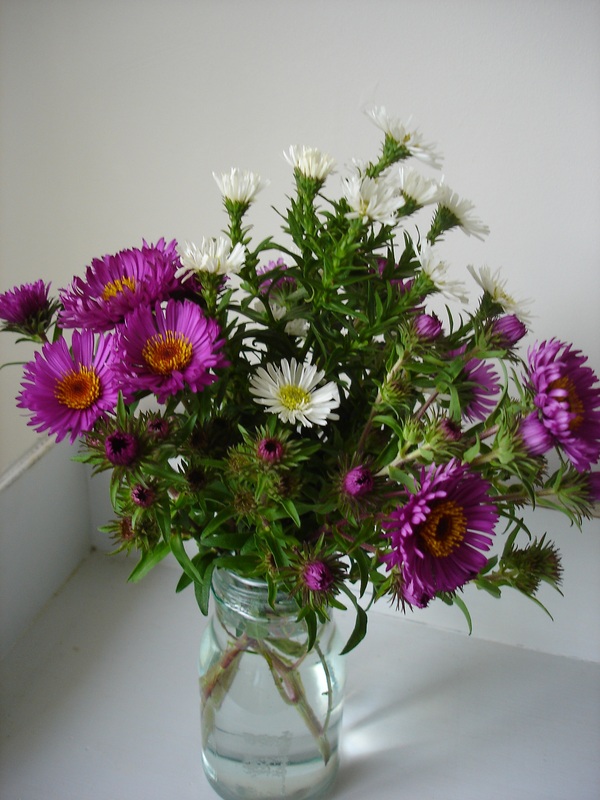 You are provided with a small booklet of flowers for identification and you can survey the area as many times as you want between Spring and Autumn. Wellyman and I did a 1km path on Easter Monday. The weather was lovely and we walked a small road that was no longer in use, recording the species we saw. It was a really enjoyable way to spend an afternoon and hopefully the information we and others give Plantlife will go some way to helping to record and protect our wildflowers. Its too late to do a survey this year but you can sign up for next year at Plantlife. Well … maybe disaster is a bit of an exaggeration. The sweetcorn on our plot have been a victim of this cool, dull summer. 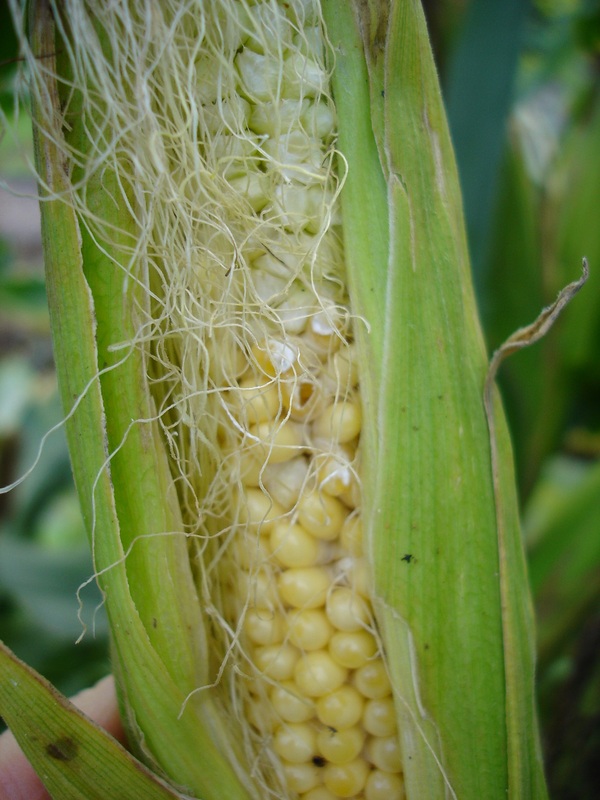 The photo shows how the kernels haven’t swollen properly, some haven’t swollen at all. After reading several books, looking on the internet and some advice from my friends at ukveggardeners.com I discovered it was due to poor pollination. I had planted the sweetcorn in a block and tapped the male flowers when they had opened, all to aid pollination but it seems the weather plays its part as well. Sweetcorn love warmth and sunshine (don’t we all) and haven’t appreciated summer 2011. Maybe its a waste of time trying to grow sweetcorn in Britain with our track record of summer weather. It’s the same with tomatoes, after 3 years of blighted tomatoes we gave up trying to grow them. It was soul-destroying after nurturing our plants for months for us to get no crop from them. I know Wellyman will want to grow sweetcorn again but I’m wondering whether we shouldn’t try some cabbages. They don’t taste as good on the barbecue though!! !